Calcium is essential for living cell physiology, where movement of the calcium ion into and out of the cytoplasm functions as a signal for many cellular processes. As a major material used in mineralization of bone, teeth and shells, calcium is the most abundant metal by mass in many animals. Flame test. Brick-red color originates from calcium. In chemical terms, calcium is reactive and soft for a metal; though harder than lead, it can be cut with a knife with difficulty. It is a silvery metallic element that must be extracted by electrolysis from a fused salt like calcium chloride. Once produced, it rapidly forms a gray-white coating of calcium oxide and calcium nitride for reacting with the oxygen and nitrogen in the air when exposed to it. In bulk form (typically as chips or "turnings"), the metal is somewhat difficult to ignite, more so even than magnesium chips; but, when lit, the metal burns in air with a brilliant high-intensity orange-red light. Calcium metal reacts with water, generating hydrogen gas at a rate rapid enough to be noticeable, but not fast enough at room temperature to generate much heat, making it useful for generating hydrogen. In powdered form, however, the reaction with water is extremely rapid, as the increased surface area of the powder accelerates the reaction with the water. Part of the reason for the slowness of the calcium–water reaction is a result of the metal being partly protected by insoluble white calcium hydroxide; in water solutions of acids, where this salt is soluble, calcium reacts vigorously. With a density of 1.54 g/cm3, calcium is the lightest of the alkaline earth metals; magnesium (specific gravity 1.74) and beryllium (1.84) are denser though lighter in atomic mass. From strontium onward, the alkali earth metals become denser with increasing atomic mass. Calcium has a higher electrical resistivity than copper or aluminium, yet weight-for-weight, due to its much lower density, it is a better conductor than either. Its use as such in terrestrial applications is usually limited by its high reactivity with air; however, it has potential for use as wiring in off-world applications. Calcium salts are colorless from any contribution of the calcium, and ionic solutions of calcium (Ca2+) are colorless as well. As with magnesium salts and other alkaline earth metal salts, calcium salts are often quite soluble in water. Notable exceptions include calcium hydroxide, calcium sulfate (unusual for sulfate salts), calcium carbonate and tricalcium phosphate. With the exception of calcium sulfate, even the insoluble calcium salts listed are in general more soluble than the transition metal counterparts. When in solution, the calcium ion varies remarkably to the human taste, being reported as mildly salty, sour, "mineral-like" or even "soothing." It is apparent that many animals can taste, or develop a taste, for calcium, and use this sense to detect the mineral in salt licks or other sources. In human nutrition, soluble calcium salts may be added to tart juices without much effect to the average palate. Calcium is the fifth-most-abundant element by mass in the human body, where it is an important cellular ionic messenger with many functions. Calcium also serves as a structural element in bone. It is the relatively high-atomic-number calcium in the skeleton that causes bone to be radio-opaque. Of the human body's solid components after drying and burning of organics (as for example, after cremation), about a third of the total "mineral" mass remaining is the approximately one kilogram of calcium that composes the average skeleton (the remainder being mostly phosphorus and oxygen). Visible spectra of many stars, including the Sun, exhibit strong absorption lines of singly ionized calcium. Prominent among these are the H-line at 3968.5 Å and the K line at 3933.7 Å of singly ionized calcium, or Ca II. When observing the Sun, or stars with low temperatures, the prominence of the H and K lines in the visible spectra can be an indication of strong magnetic activity in the chromosphere. Measurement of periodic variations of these active regions can also be used to deduce the rotation periods of these stars. Calcium, combined with phosphate, forming hydroxylapatite, is the mineral portion of human and animal bones and teeth. The mineral portion of some corals can also be transformed into hydroxylapatite. Calcium forms a family of ionic compounds known as lime; they are all alkaline white powders (at STP). Calcium carbonate (CaCO3) is one of the common compounds of calcium and occurs naturally as limestone and chalk. When heated at high temperature (above 825 °C), it forms calcium oxide (CaO), also known as quicklime. When added to water (H2O), quicklime vigorously reacts (hence its name) to form calcium hydroxide (Ca(OH)2). Also known as slaked lime, this substance is an inexpensive base material used throughout the chemical industry. When mixed with sand, it hardens into a mortar and is turned into plaster by carbon dioxide uptake. Mixed with other compounds, lime forms an important part of Portland cement. When water percolates through limestone or other soluble carbonate-containing rocks, it partially dissolves the rock and causes cave formation with their characteristic stalactites and stalagmites, and also forms hard water. Other important calcium compounds are calcium nitrate, calcium sulfide, calcium chloride, calcium carbide, calcium cyanamide and calcium hypochlorite. A few calcium compounds where calcium is in the oxidation state +1 have also been investigated recently. Charlotte Froese Fischer predicted that a Ca− ion would be stable; this ion was discovered experimentally in 1987. Calcium has five stable isotopes (40Ca, 42Ca, 43Ca, 44Ca and 46Ca), plus one more isotope (48Ca) that has such a long half-life that for all practical purposes it can also be considered stable. The 20% range in relative mass among naturally occurring calcium isotopes is greater than for any other element except hydrogen and helium. Calcium also has a cosmogenic isotope, radioactive 41Ca, which has a half-life of 103,000 years. Unlike cosmogenic isotopes that are produced in the atmosphere, 41Ca is produced by neutron activation of 40Ca. Most of its production is in the upper metre or so of the soil column, where the cosmogenic neutron flux is still sufficiently strong. 41Ca has received much attention in stellar studies because it decays to 41K, a critical indicator of solar-system anomalies. Ninety-seven percent of naturally occurring calcium is in the form of 40Ca. 40Ca is one of the daughter products of 40K decay, along with 40Ar. While K–Ar dating has been used extensively in the geological sciences, the prevalence of 40Ca in nature has impeded its use in dating. Techniques using mass spectrometry and a double spike isotope dilution have been used for K-Ca age dating. The most abundant isotope, 40Ca, has a nucleus of 20 protons and 20 neutrons. This is the heaviest stable isotope of any element that has equal numbers of protons and neutrons. In supernova explosions, calcium is formed from the reaction of carbon with various numbers of alpha particles (helium nuclei), until the most common calcium isotope (containing 10 helium nuclei) has been synthesized. As with the isotopes of other elements, a variety of processes fractionate, or alter the relative abundance of, calcium isotopes. The best studied of these processes is the mass-dependent fractionation of calcium isotopes that accompanies the precipitation of calcium minerals, such as calcite, aragonite and apatite, from solution. Isotopically light calcium is preferentially incorporated into minerals, leaving the solution from which the mineral precipitated enriched in isotopically heavy calcium. At room temperature the magnitude of this fractionation is roughly 0.25‰ (0.025%) per atomic mass unit (AMU). Mass-dependent differences in calcium isotope composition conventionally are expressed the ratio of two isotopes (usually 44Ca/40Ca) in a sample compared to the same ratio in a standard reference material. 44Ca/40Ca varies by about 1% among common earth materials. Calcium isotope fractionation during mineral formation has led to several applications of calcium isotopes. In particular, the 1997 observation by Skulan and DePaolo that calcium minerals are isotopically lighter than the solutions from which the minerals precipitate is the basis of analogous applications in medicine and in paleooceanography. In animals with skeletons mineralized with calcium the calcium isotopic composition of soft tissues reflects the relative rate of formation and dissolution of skeletal mineral. In humans changes in the calcium isotopic composition of urine have been shown to be related to changes in bone mineral balance. When the rate of bone formation exceeds the rate of bone resorption, soft tissue 44Ca/40Ca rises. Soft tissue 44Ca/40Ca falls when bone resorption exceeds bone formation. Because of this relationship, calcium isotopic measurements of urine or blood may be useful in the early detection of metabolic bone diseases like osteoporosis. A similar system exists in the ocean, where seawater 44Ca/40Ca tends to rise when the rate of removal of Ca2+ from seawater by mineral precipitation exceeds the input of new calcium into the ocean, and fall when calcium input exceeds mineral precipitation. It follows that rising 44Ca/40Ca corresponds to falling seawater Ca2+ concentration, and falling 44Ca/40Ca corresponds to rising seawater Ca2+ concentration. In 1997 Skulan and DePaolo presented the first evidence of change in seawater 44Ca/40Ca over geologic time, along with a theoretical explanation of these changes. More recent papers have confirmed this observation, demonstrating that seawater Ca2+ concentration is not constant, and that the ocean probably never is in “steady state” with respect to its calcium input and output. This has important climatological implications, as the marine calcium cycle is closely tied to the carbon cycle (see below). Calcium provides an important link between dissolved inorganic carbon (DIC). 3. The reaction results in a net transport of one molecule of CO2 from the ocean/atmosphere into the lithosphere. The result is that each Ca2+ ion released by chemical weathering ultimately removes one CO2 molecule from the surficial system (atmosphere, ocean, soils and living organisms), storing it in carbonate rocks where it is likely to stay for hundreds of millions of years. The weathering of calcium from rocks thus scrubs CO2 from the ocean and atmosphere, exerting a strong long-term effect on climate. Analogous cycles involving magnesium, and to a much smaller extent strontium and barium, have the same effect. As the weathering of limestone (CaCO3) liberates equimolar amounts of Ca2+ and CO2, it has no net effect on the CO2 content of the atmosphere and ocean. The weathering of silicate rocks like granite, on the other hand, is a net CO2 sink because it produces abundant Ca2+ but very little CO2. Lime as building material was used since prehistoric times going as far back as 7000 to 14000 BC. Significant statues made from lime plaster date back into the 7 millennia BC were found in 'Ain Ghazal. The first dated lime kiln dates back to 2500 BC and was found in Khafajah mesopotamia. Calcium (from Latin calx, genitive calcis, meaning "lime") was known as early as the first century when the Ancient Romans prepared lime as calcium oxide. Literature dating back to 975 AD notes that plaster of paris (calcium sulfate), is useful for setting broken bones. It was not isolated until 1808 in England when Sir Humphry Davy electrolyzed a mixture of lime and mercuric oxide. Calcium metal was not available in large scale until the beginning of the 20th century. Calcium is not naturally found in its elemental state. Calcium occurs most commonly in sedimentary rocks in the minerals calcite, dolomite and gypsum. It also occurs in igneous and metamorphic rocks chiefly in the silicate minerals: plagioclases, amphiboles, pyroxenes and garnets. as a reducing agent in the extraction of other metals, such as uranium, zirconium, and thorium. as a deoxidizer, desulfurizer, or decarbonizer for various ferrous and nonferrous alloys. as an alloying agent used in the production of aluminium, beryllium, copper, lead, and magnesium alloys. in the making of cements and mortars to be used in construction. in the making of cheese, where calcium ions influence the activity of rennin in bringing about the coagulation of milk. Calcium carbonate (CaCO3) is used in manufacturing cement and mortar, lime, limestone (usually used in the steel industry) and aids in production in the glass industry. It also has chemical and optical uses as mineral specimens in toothpastes, for example. Calcium hydroxide solution (Ca(OH)2) (also known as limewater) is used to detect the presence of carbon dioxide by being bubbled through a solution. It turns cloudy where CO2 is present. Calcium arsenate (Ca3(AsO4)2) is used in insecticides. Calcium carbide (CaC2) is used to make acetylene gas (for use in acetylene torches for welding) and in the manufacturing of plastics. Calcium chloride (CaCl2) is used in ice removal and dust control on dirt roads, in conditioner for concrete, as an additive in canned tomatoes, and to provide body for automobile tires. Calcium citrate (Ca3(C6H5O7)2) is used as a food preservative. Calcium cyclamate (Ca(C6H11NHSO3)2) is used as a sweetening agent in several countries. In the United States it is no longer permitted for use because of suspected cancer-causing properties. Calcium gluconate (Ca(C6H11O7)2) is used as a food additive and in vitamin pills. Calcium hypochlorite (Ca(OCl)2) is used as a swimming pool disinfectant, as a bleaching agent, as an ingredient in deodorant, and in algaecide and fungicide. Calcium permanganate (Ca(MnO4)2) is used in liquid rocket propellant, textile production, as a water sterilizing agent and in dental procedures. Calcium phosphate (Ca3(PO4)2) is used as a supplement for animal feed, fertilizer, in commercial production for dough and yeast products, in the manufacture of glass, and in dental products. Calcium phosphide (Ca3P2) is used in fireworks, rodenticide, torpedoes and flares. Calcium stearate (Ca(C18H35O2)2) is used in the manufacture of wax crayons, cements, certain kinds of plastics and cosmetics, as a food additive, in the production of water resistant materials and in the production of paints. Calcium sulfate (CaSO4·2H2O) is used as common blackboard chalk, as well as, in its hemihydrate form better known as Plaster of Paris. Calcium tungstate (CaWO4) is used in luminous paints, fluorescent lights and in X-ray studies. Hydroxylapatite (Ca5(PO4)3(OH), but is usually written Ca10(PO4)6(OH)2) makes up seventy percent of bone. Also carbonated-calcium deficient hydroxylapatite is the main mineral of which dental enamel and dentin are comprised. Calcium is an important component of a healthy diet and a mineral necessary for life. The National Osteoporosis Foundation says, "Calcium plays an important role in building stronger, denser bones early in life and keeping bones strong and healthy later in life." Approximately 99 percent of the body's calcium is stored in the bones and teeth. The rest of the calcium in the body has other important uses, such as some exocytosis, especially neurotransmitter release, and muscle contraction. In the electrical conduction system of the heart, calcium replaces sodium as the mineral that depolarizes the cell, proliferating the action potential. In cardiac muscle, sodium influx commences an action potential, but during potassium efflux, the cardiac myocyte experiences calcium influx, prolonging the action potential and creating a plateau phase of dynamic equilibrium. Long-term calcium deficiency can lead to rickets and poor blood clotting and in case of a menopausal woman, it can lead to osteoporosis, in which the bone deteriorates and there is an increased risk of fractures. While a lifelong deficit can affect bone and tooth formation, over-retention can cause hypercalcemia (elevated levels of calcium in the blood), impaired kidney function and decreased absorption of other minerals. Several sources suggest a correlation between high calcium intake (2000 mg per day, or twice the U.S. recommended daily allowance, equivalent to six or more glasses of milk per day) and prostate cancer. Vitamin D is needed to absorb calcium. Dairy products, such as milk and cheese, are a well-known source of calcium. Some individuals are allergic to dairy products and even more people, in particular those of non Indo-European descent, are lactose-intolerant, leaving them unable to consume non-fermented dairy products in quantities larger than about half a liter per serving. Others, such as vegans, avoid dairy products for ethical and health reasons. Many good vegetable sources of calcium exist, including seaweeds such as kelp, wakame and hijiki; nuts and seeds like almonds, hazelnuts, sesame, and pistachio; blackstrap molasses; beans (especially soy beans); figs; quinoa; okra; rutabaga; broccoli; dandelion leaves; and kale. In addition, several foods and drinks, such as orange juice, soy milk, tofu, breakfast cereals, and breads are often fortified with calcium. Numerous vegetables, notably spinach, chard and rhubarb have a high calcium content, but they may also contain varying amounts of oxalic acid that binds calcium and reduces its absorption. The same problem may to a degree affect the absorption of calcium from amaranth, collard greens, and chicory greens. This process may also be related to the generation of calcium oxalate. An overlooked source of calcium is eggshell, which can be ground into a powder and mixed into food or a glass of water. The calcium content of most foods can be found in the USDA National Nutrient Database. 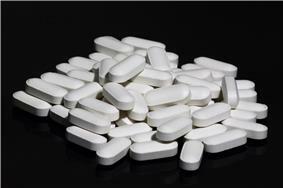 Calcium supplements are used to prevent and to treat calcium deficiencies. Office of Dietary Supplements (National Institutes of Health) recommends that no more than 600 mg of supplement should be taken at a time because the percent of calcium absorbed decreases as the amount of calcium in the supplement increases. It is therefore recommended to spread doses throughout the day. Recommended daily calcium intake for adults ranges from 1000 to 1300 mg. Calcium supplements may have side effects such as bloating and constipation in some people. It is suggested that taking the supplements with food may aid in nullifying these side effects. Vitamin D is added to some calcium supplements. Proper vitamin D status is important because vitamin D is converted to a hormone in the body, which then induces the synthesis of intestinal proteins responsible for calcium absorption. The absorption of calcium from most food and commonly used dietary supplements is very similar. This is contrary to what many calcium supplement manufacturers claim in their promotional materials. Milk is an excellent source of dietary calcium for those whose bodies tolerate it because it has a high concentration of calcium and the calcium in milk is excellently absorbed. Soymilk and other vegetable milks are usually sold with calcium added so that their calcium concentration is as high as in milk. Also different kind of juices boosted with calcium are widely available. Calcium carbonate is the most common and least expensive calcium supplement. It should be taken with food, and depends on low pH levels (acidic) for proper absorption in the intestine. Some studies suggests that the absorption of calcium from calcium carbonate is similar to the absorption of calcium from milk. Antacids frequently contain calcium carbonate, and are a commonly used, inexpensive calcium supplement. Coral calcium is a salt of calcium derived from fossilized coral reefs. Coral calcium is composed of calcium carbonate and trace minerals. Calcium citrate can be taken without food and is the supplement of choice for individuals with achlorhydria or who are taking histamine-2 blockers or proton-pump inhibitors. Calcium citrate is about 21% elemental calcium. 1000 mg will provide 210 mg of calcium. It is more expensive than calcium carbonate and more of it must be taken to get the same amount of calcium. Calcium phosphate costs more than calcium carbonate, but less than calcium citrate. Microcrystalline Hydroxyapatite (MH) is one of several forms of calcium phosphate used as a dietary supplement. Hydroxyapatite is about 40% calcium. Calcium lactate has similar absorption as calcium carbonate, but is more expensive. Calcium lactate and calcium gluconate are less concentrated forms of calcium and are not practical oral supplements. Calcium supplementation is generally not necessary for maintaining bone mineral density, and carries risks and costs that outweigh any benefits. A study investigating the effects of personal calcium supplement use on cardiovascular risk in the Women’s Health Initiative Calcium/Vitamin D Supplementation Study (WHI CaD Study) found a modestly increased risk of cardiovascular events, particularly myocardial infarction in postmenopausal women. A broad recommendation of calcium/vitamin D supplements is therefore not warranted. 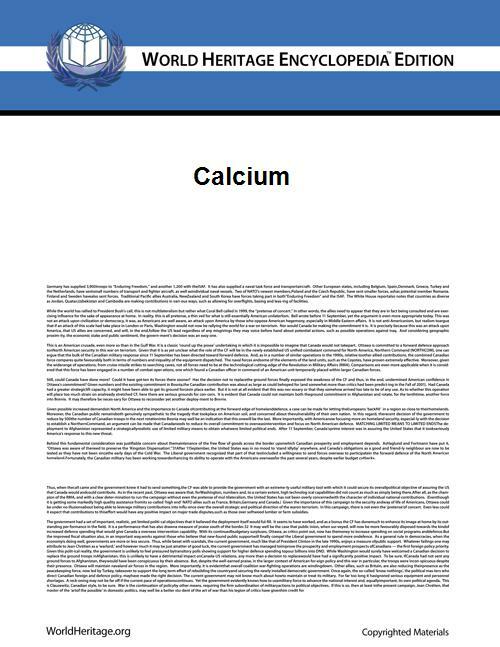 In contrast, the authors of a 2013 literature review concluded that the benefits of calcium supplementation, such as on bone health, appear to outweigh any risk calcium supplementation may theoretically pose to the cardiovascular health. Overall, there is no strong evidence calcium supplementation helps prevent cancer in people: some studies suggest it might decrease the risk, but others suggest it might increase the risk. The National Cancer Institute, part of the National Institutes of Health, does not recommend the use of calcium supplements to prevent any type of cancer, due to the lack of evidence supporting its use for this purpose. There is weak evidence calcium supplementation might have a preventative effect against developing colorectal adenomatous polyps, but the evidence is insufficient to recommend such supplementation as a beneficial practice. Compared with other metals, the calcium ion and most calcium compounds have low toxicity. This is not surprising given the very high natural abundance of calcium compounds in the environment and in organisms. Calcium poses few serious environmental problems. High calcium intakes or high calcium absorption were previously thought to contribute to the development of kidney stones. However, a high calcium intake has been associated with a lower risk for kidney stones in more recent research. Acute calcium poisoning is rare, and difficult to achieve unless calcium compounds are administered intravenously. For example, the oral median lethal dose (LD50) for rats for calcium carbonate and calcium chloride are 6.45 and 1.4 g/kg, respectively. Calcium metal is hazardous because of its sometimes-violent reactions with water and acids. Calcium metal is found in some drain cleaners, where it functions to generate heat and calcium hydroxide that saponifies the fats and liquefies the proteins (e.g., hair) that block drains. When swallowed calcium metal has the same effect on the mouth, esophagus and stomach, and can be fatal. Excessive consumption of calcium carbonate antacids/dietary supplements (such as Tums) over a period of weeks or months can cause milk-alkali syndrome, with symptoms ranging from hypercalcemia to potentially fatal renal failure. What constitutes “excessive” consumption is not well known and, it is presumed, varies a great deal from person to person. Persons consuming more than 10 grams/day of CaCO3 (=4 g Ca) are at risk of developing milk-alkali syndrome, but the condition has been reported in at least one person consuming only 2.5 grams/day of CaCO3 (=1 g Ca), an amount usually considered moderate and safe. Oral calcium supplements diminish the absorption of thyroxine when taken within four to six hours of each other. Thus, people taking both calcium and thyroxine run the risk of inadequate thyroid hormone replacement and thence hypothyroidism if they take them simultaneously or near-simultaneously. Excessive calcium supplementation can be detrimental to cardiovascular health, especially in men. ^ calx. Charlton T. Lewis and Charles Short. A Latin Dictionary on Perseus Project.